As reported on Playbill.com and the Chicago Tribune’s blog “The Theater Loop” by Chris Jones, David Cromer’s acclaimed Chicago production of Our Town, by Thorton Wilder, will make a reappearance in Spring 2009 at an Off-Broadway theatre. This is becoming something of a trend for David Cromer, as his production of The Adding Machine recently finished an award-winning run at Off-Broadway’s Minetta Lane Theatre. 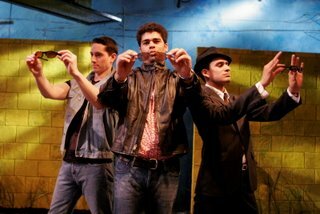 Begins in February at the Barrow Street Theatre in Greenwich Village. The cast is expected to be a mix of Chicago and New York actors. 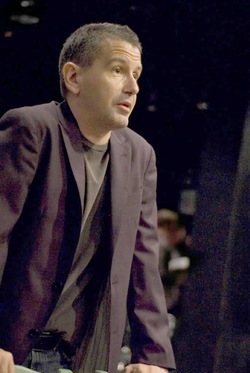 Cromer directed and played the Stage Manager in the Windy City run, but it is not yet known whether Cromer will reprise the Stage Manager role. In regards to the set, the Barrow Street stage will be stripped bare to echo Cromer’s earlier concept. 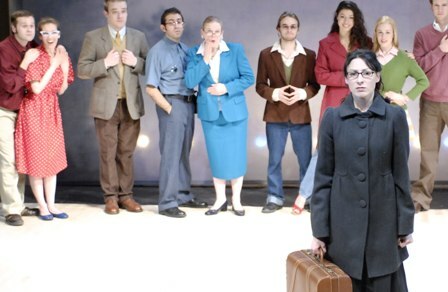 Cromer’s intensely visual staging of the musical Adding Machine was one of the best-reviewed productions of the 2007-08 season in New York City. The musical by composer and co-librettist Josh Schmidt and co-librettist Jason Loewith played the Minetta Lane Theatre Feb. 8-July 20. 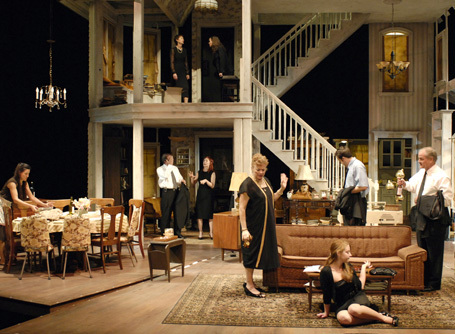 For its New York run Adding Machine was awarded two Outer Critics Circle Awards (Outstanding New Off-Broadway Musical, Outstanding New Score), four Lucille Lortel Awards (Outstanding Musical, Outstanding Director, Outstanding Lead Actor, Outstanding Lighting Design) and four Obie Awards as well as nominations from the Drama Desk and Drama League awards. Informative interview with David Cromer by the podcast of TheatreinChicago.com. New York Times full-page profile of David Cromer.